Make your pool more hospitable with showers and decks. Install a stream to pretty up your garden. These aren’t your typical pool loungers! This giant potato chip chair gives you the relaxation of stretching out outdoors and the fun of a unique rocker. This gorgeous gazebo could be the center piece of many a backyard party. There’s no falling off these! 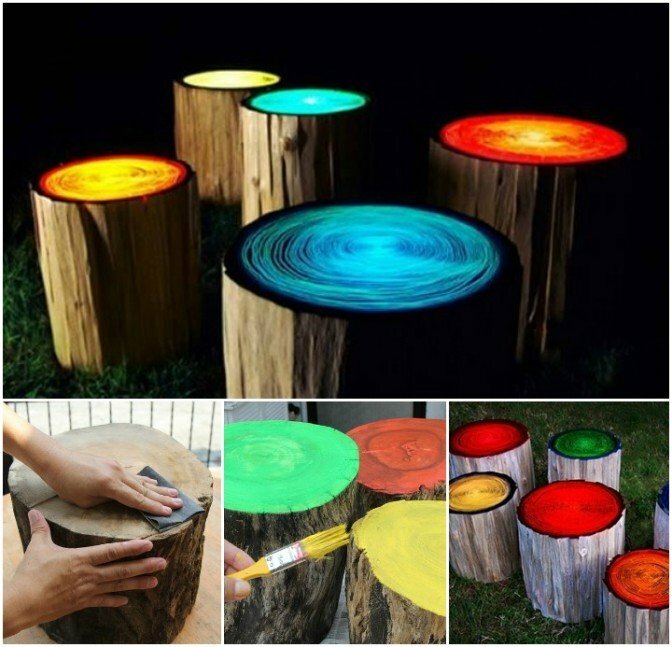 Make your own awesome glow-in-the-dark tree stumps with this tutorial. This hanging swing doubles as great shade. Relax in water without needing a pool with this inflatable boat chair. This water hammock can even be heated! 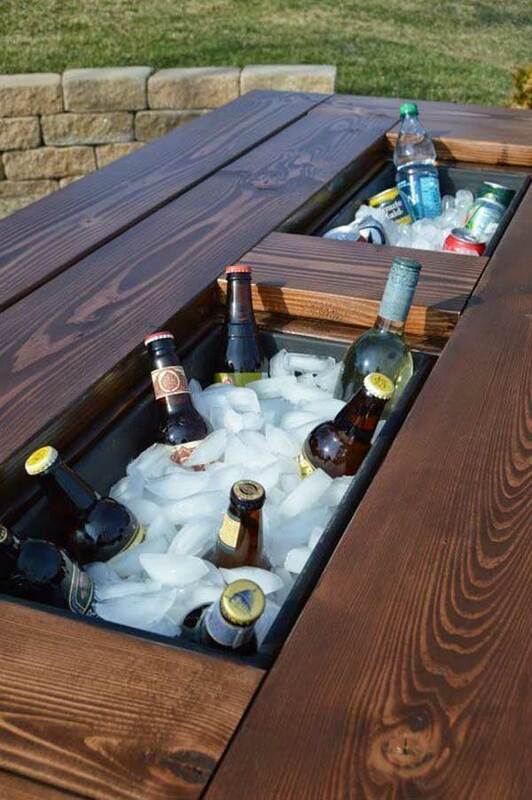 Remodel your outdoor table to hold ice and beers (or other drinks). With this set, you can totally play ping pong in the pool. Don’t forget to share these ideas and this page with your friends!